If you’ve been looking for APK files for Games, you must do that as downloading Games from 3rd-party websites can have malware. Today, we bring you a list of 10 best Android games under 10 MB. These lightweight games are not only low in size but are fun-to-play too. These games perform well on low and mid-end Android phones. 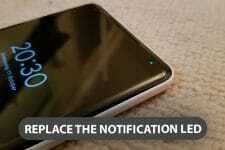 Gaming on Android has evolved a lot since the first Android smartphone launched in the market back in 2008. I mean, who could have imagined that games as big as 1GB can be played in smartphones back then? Even though these high-end games can be played easily on high-end devices, it becomes difficult to play them on a low-end device. Seriously, can you play Injustice: Gods Among Us on an Android smartphone which costs below 10K? Nope. But that does not mean low-end device owners can’t have fun. 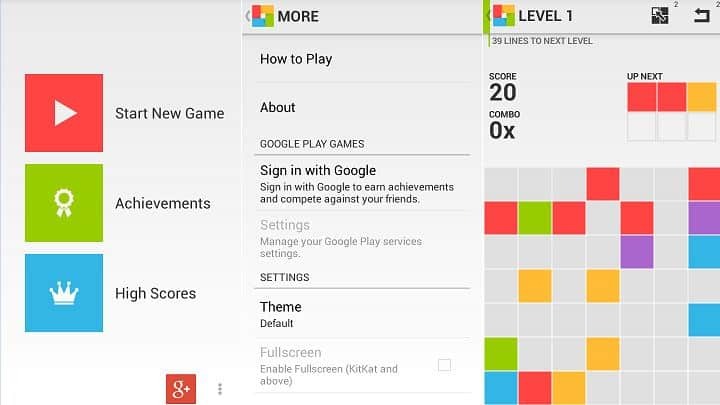 There are a plethora of lightweight games in Google Play Store but it can be confusing to find the best game for you. 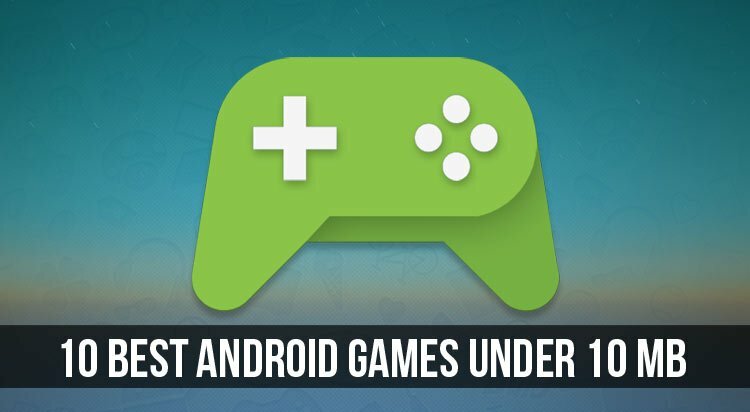 So in this article, I’ve compiled a list of 10 best lightweight android games you can get under 10 MB. 7X7 is my favorite color matching game. It’s like a fusion of Tetris and Connect-four. In this game, you have to match four or more square of the same color, doing so removes the colored square and empties the grid. Your goal is to stop the grid from filling as long as possible. With each non-scoring attempt, new squares are added, so you have to keep the grid as clear as you can. You go through the levels while collecting points and unlocking various achievements. It’s fun to play. Flow Free: Bridges is a very popular game in which you have to connect the same colors by forming a pipe. However, the pipes shouldn’t cross each other or they will break. To pass one pipe from other you have to use the bridge. There are 1000+ levels divided into various board sizes like 5×5, 6×6, 7×7, 8×8, and 9×9. 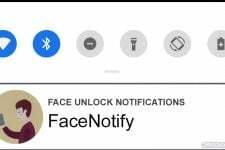 The difficulty level varies from easy to very hard. Graphics are clear colorful and very minimal. One More Brick has got very simple gameplay. It’s a unique blend of brick and bubble shoot games. 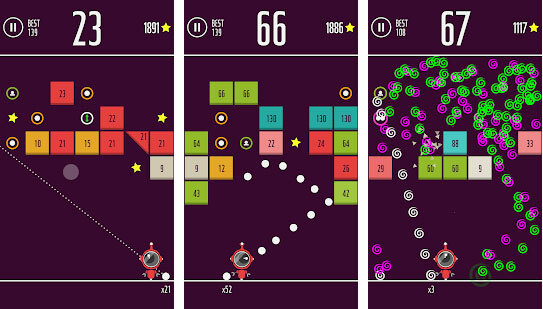 If you are looking for an addictive time-killer, One More Brick is just a game you should get. This is a highly engaging 10MB game for Android! Everybody knows about the Flappy Bird. It is one of the most addictive games ever created. 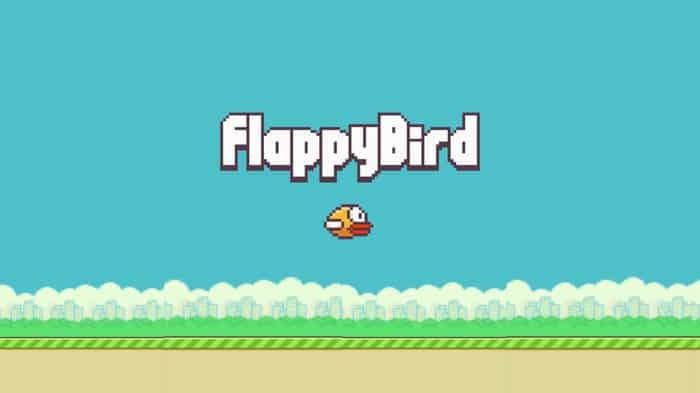 You have to tap the screen to make the bird fly as long as you can without getting it killed. A defined time-eater. 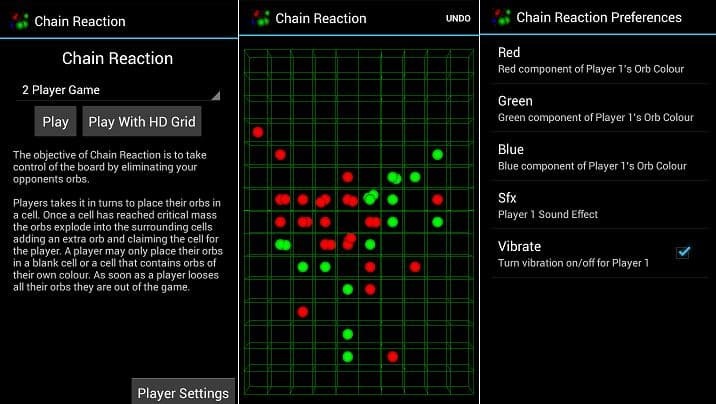 It is the best lightweight strategy game in which you have to take control of the board by eliminating your opponents’ orbs. Players take it in turns to place their orbs in a cell. Once a cell has reached critical mass the orbs explode into the surrounding cells adding an extra orb and claiming the cell for the player. 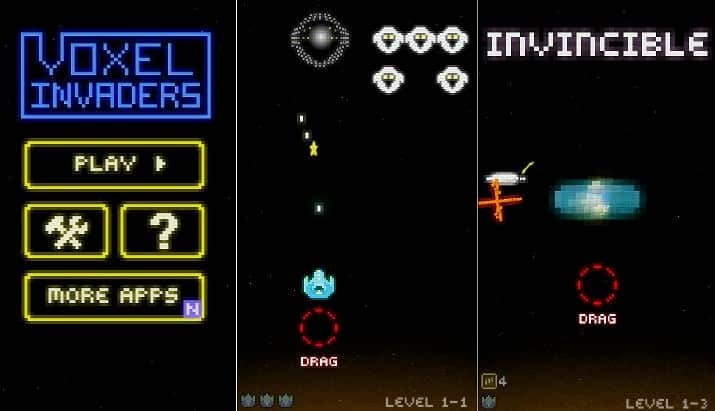 Voxel Invaders is a retro space shooter with a 3D take on classic space invaders. There are a lot of amazing levels where you have to defeat the wave of oncoming aliens. 140+ levels are available with lots of power-ups and increasing difficulty. It’s simple to play and very easy to get absorbed into. 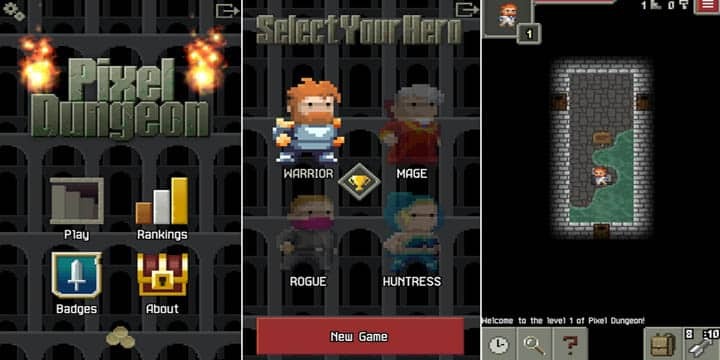 Pixel Dungeon is a rouge-like turn-based dungeon crawler with pixel art graphics. While exploring the depths of Pixel Dungeon, you have to collect useful items, fight monsters and find artifacts. In this game, you progress, you die, you start over. All the elements of this game including weapons are randomly generated. 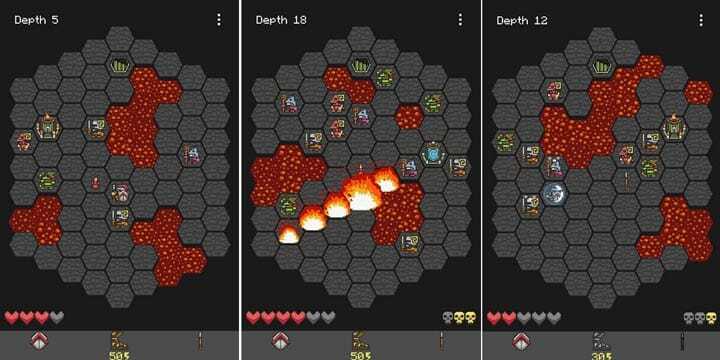 Hoplite is a turn-based strategy game focusing on tactical movement around small maps. Your goal is to recover the Fleece of Yendor from the underworld which is on floor 16. Each floor is made up of a single-screen field broken into hexagons. The layouts are somewhat random, with each one containing things like lava, shrines, and enemies. On each level, your task is simply to reach the stairs. Killing enemies is optional. 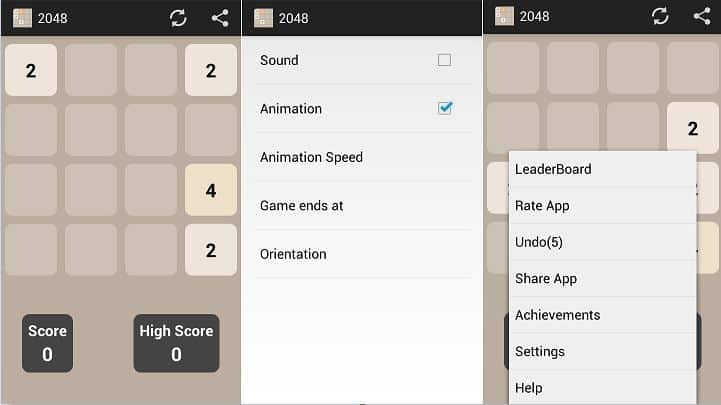 2048 is a fun, addictive and a very simple puzzle game. You need to join the numbered tiles by swiping. When two tiles with the same number touch, they merge into one. Your goal is to create a 2048 tile to win. One Touch Drawing is a fun little game in which you have to draw everything with one touch. 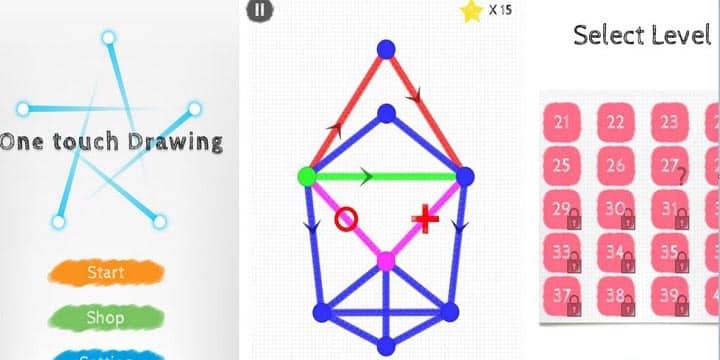 Connecting points of the shape which you need to draw are given which vary from level to level. You need to connect all the points with a single touch, making sure that you don’t cross one line over another, to clear the level. So, this is it. Don’t let their small size fool you. These games may be lightweight, but they’re definitely heavy in terms of the abundance of enjoyment that each of them has to offer.